As a native Briton, I have plenty of opportunities to travel around taking pictures of Britain's wonderful landscapes and cityscapes. You can share in the beauty too. I've always enjoyed traveling around Britain. For years, it never even occurred to me to venture further afield (though I aim to rectify that now). Great Britain is a nation of extremes within the confines of its hemisphere. Mountains soar majestically in the north and west. The great plains stretch for miles in the southern central. There are moors, which have inspired great literature, and still appear otherworldly today. Then there is the history. So much of it, appearing on the landscape in odd corners, or right there in your face in the center of cities. So much to explore and photograph. No wonder I've loved it all. What began as a business venture ended with a great deal of fun! One of the great boons of being a Wizzley writer is that you mix with people with brilliant ideas. Amongst those were the people making a living from Zazzle products. I was advised to join them. Let's be honest here, declaring my strengths and weaknesses before we even begin. I'm no photographer. I bought my camera by walking into a store and saying to the assistant, "I want a point and click digital camera, which takes professional photographs." To his credit, the young man found one. 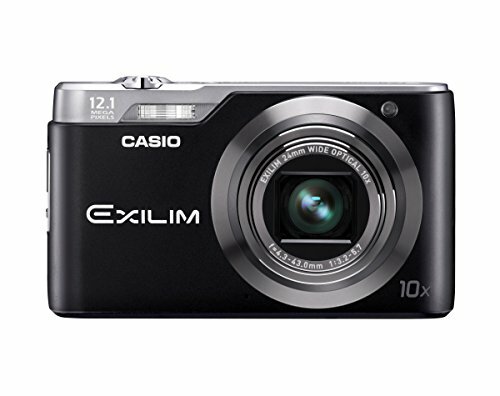 The Casio Exilim EX-H5BK largely works by switching it on, pointing it at the thing or place that you want to photograph, then pressing a button. Plus a zoom in and out feature. That's all I need. Oh! There is more. There's a whole menu worth of special effects, which my more learned friends occasionally explore. But it's all a bit complex for me. All I wanted to do was produce professional looking photographs with the minimum of fuss. I'm a writer, not a photographer. I've not been disappointed with the results. In fact, I've been quite stunned at some of them. Fluke, my friends call them. And I can't, in all conscience, disagree. 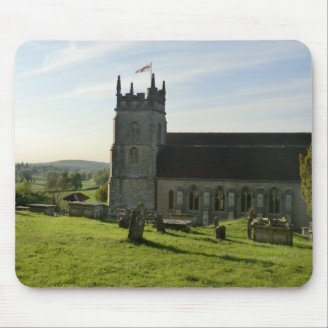 Those 'flukes' are what make up the mainstay of my Zazzle store, Beautiful Britain. 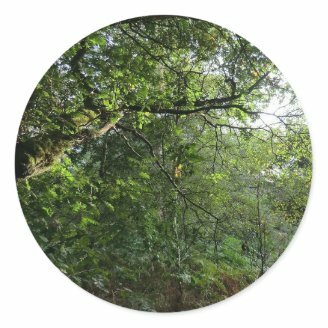 I may take 100 or 200 pictures to find just one or two which I judge suitable for placing on products. The feeling, when you see The One, is amazing. A frisson of 'Oh wow! I took that!! ', coupled with the thrill of knowing that you've stood in that spot. You've seen that landscape. You are the medium through which others will get to view it too. 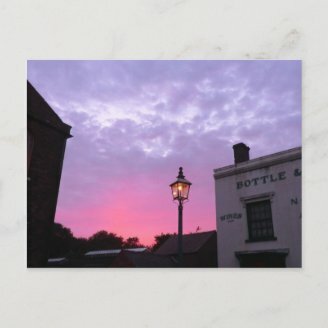 My Zazzle store began as a good idea expressed on a Wizzley forum. It's grown into a fun venture all of its own. 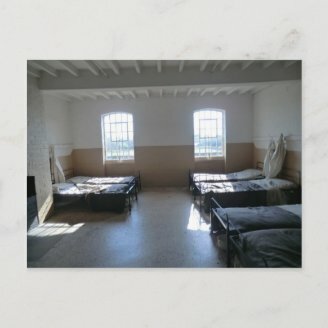 And now I'd like to share some of the stories behind the images. It was a busy day, when my mother and I visited Kinver Edge. There are homes cut into the soft sandstone of the cliffs. Glorified caves, carved into the shapes of modern houses. Need more room? An extra bedroom for a growing family? No problem! Just chisel out a doorway into your back wall and carry on deeper into the cliff. There were whole families raised there, as late as the 1930s. The National Trust took it over piecemeal, until it owned the lot. Now tourists go to see how people used to live. It's lovely. 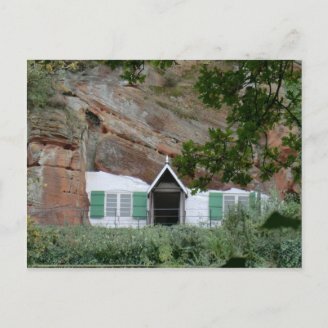 I could quite happily live in a Kinver Edge Rock House myself! Yet getting my photographs was quite problematic. With so many visitors there that day, a clear shot without them was a matter of timing. I took twenty pictures with someone's arm or leg just coming into view, before capturing just one of those displayed above. Then there were the angles. By their very nature, the Kinver Edge Rock Houses are perched on the edge of a sandstone cliff. There's plenty of room to walk before them, but not much scope for a wide angle photograph. I ended up climbing, bracing myself against foliage and trees, with my mother just out of shot grimacing at my position. Then I'd take the photographs one handed and hope for the best. It worked out ok! 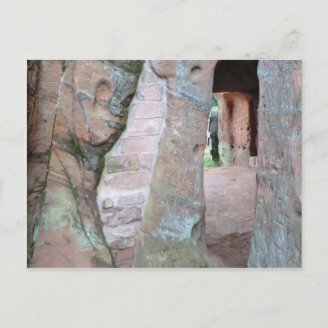 Please do check out the rest of my Kinver Edge Rock House photographs on Beautiful Britain. 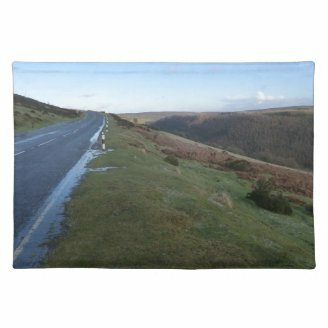 On the subject of holding onto things, I doubt any image in my Zazzle store was so fraught with danger than those from the Horseshoe Pass. This picturesque road is one of the most stunning, and vertigo inducing, routes in Wales. 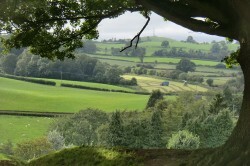 It snakes along the edge of the Vale of Llangollen, then rises around the Llantysilio Mountain. At its height, it weaves 417 meters (1,368ft) above sea level. The view is tremendous. I know a good many people who won't drive along it, even as a passenger, in the brightest, clearest day. The sheer drop on one side worries them. I've done it many times, but only once in a gale. I didn't mean to. How it came to be that I was up there in such conditions has been told before. You can find the full details in my personal blog. But for the sake of those photographs I did something perhaps a little silly. Exposed to the elements, I parked my car on the edge of the highest point of the pass. Then I got out. 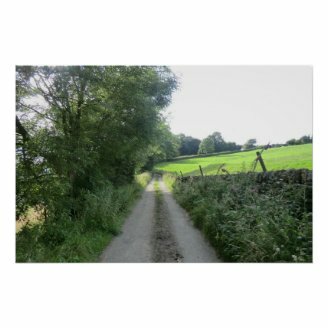 I took those photographs while holding tightly to a roadside bollard. I could barely breathe in the high winds (the news reports later said they had reached up to 100mph), but I could hold a camera one handed. You can barely tell the force of the gale in those pictures. But I can assure you it was real. By New Year, it was official. 2012 had been the wettest year in Britain since records began. I could believe it. When asked for our hopes for 2013, someone had said, "That it stops raining!" Everyone in the room cheered. 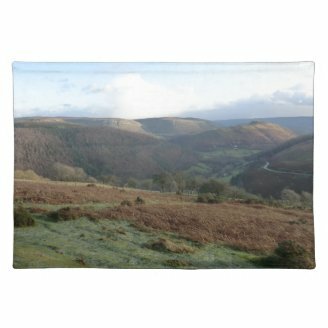 For someone traveling about Great Britain, trying to capture images for a great Zazzle store, the rain had been an issue. You can go to these wonderful places, but if you're caught in a deluge, then you're not going to get great pictures. There will be raindrops on the lens for a start. Both of the images above were taken while the Heavens opened. 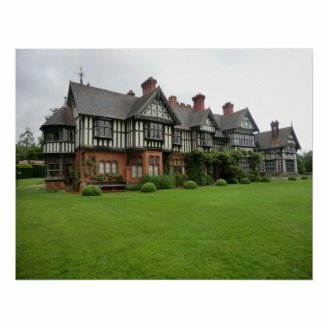 For the Wightwick Manor one, I sheltered under a tree. 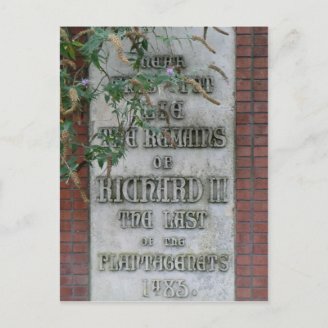 For the Leicester Richard III one, I stood in a puddle and just took it quickly. There are some others in the category of Roman remains, which were snapped while I sheltered under an overhang belonging to a nearby museum. I'm quite pleased that you can't really tell how wet it all was at the time! Yet there were moments when the sun did shine. Times of stillness in the long shadows of the late afternoon, early evening. Even amateur photographers quickly realize that it's difficult to take a bad picture then. The world is too beautiful. I've learned to watch where the sun picks out details and how the shadows play out on the landscape. Where I've captured the light and shade, my best photographs are to be found. Then the sun sinks behind the horizon and, if I'm quick and lucky enough, that stunning tapestry is caught forever. I'm updating the photographs in Beautiful Britain on a regular basis, though there's a bit of a backlog from 2012. I was too busy writing articles to keep ahead of the Zazzle updates then! If you enjoy Britain, and wish to see some of the more unusual scenes, then I invite you to check it out often. 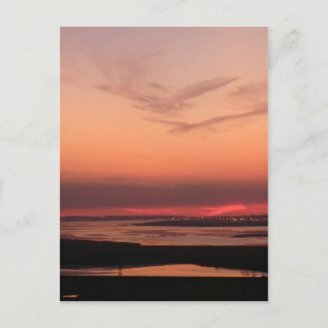 I know that I'm enjoying creating my store. I hope that you're enjoying viewing my pictures. I also promise to share occasional stories in the future, behind the photograph that you see there. A picture might be worth a thousand words; but not if you can't see me dangling from a tree to take it! Thank you very much. 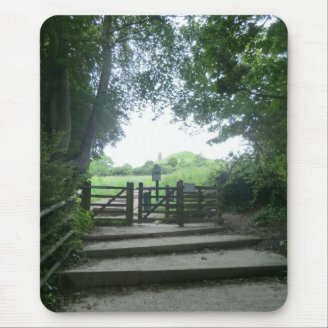 Good luck in your Zazzle endeavours! May I recommend the very useful articles over here: http://wizzley.com/articles/best/?cat... Those by Dustytoes are particularly good. Yes Britain is beautiful... thanks for sharing with us! Wow! That's a great confidence boost. Thank you! I do have photographer friends, who have given me occasional tips. But mostly it is point and click and hope for the best. It's a real thrill to know that you think some of these look professional. I didn't realize that even professional photographers have so many which can't be used! As for the rest, we're going to have to have a chat to go through them, unless you fancied writing articles about them. I'd love to know more. I say don't sell yourself short. I think these are really beautiful shots, especially some of the shots of landscape which have a tendency to never be interesting to look at, for me, from most amateur photographers. You're maybe not a professional photographer, but I wouldn't call consistently coming back with at least one great photo from a bunch 'flukes.' That's excellent, honestly. It is exactly what you want to see happen. Many professional photographers who are working will take literally thousands of photos in the hopes of getting a few great shots, and for them if they walk away with 50-100 great shots out of a couple thousand, it's been a good day. Even Ansel Adams is known to have left hundreds of negatives from any given shoot, and only print a select few. I'm no artist, but what I love about photography is that sometimes I can imagine great scenes or recognize the beauty in things, and with enough practice (and feedback on the photos I've taken) suddenly I can capture beautiful things like a 'real' artist might with a pen or paintbrush. If you'd like to know, some of your best photos follow a lot the basics of photography rules I have learned, such as capturing the subject in a hot spot, creating lines (vertical, horizontal, or diagonal), 'giving the eye a place to go, (which I think is a major trick with photos of landscapes), 'unusual angles,' and framing. I don't know if your camera can do this, I think it is probably something that can't actually be done with a point and shoot camera, but the last one of that list I know is altering the depth of field, (this is where if your subject is in the front of your picture the back will be out of focus, and vice versa). The great things is when I was taking classes and trying to become a better photographer (in general, I knew I'd never make anything of it but a hobby :p), as I learned these things and how to really apply them when taking pictures is when I started getting really great shots, but you're able to get them without really knowing any of that, and then subsequently recognize them when going through all of your photos. Coming to London? Why not visit the Thames foreshore and discover the fragments of past lives that this great London river leaves behind each time the tide is out. It's addictive! A countryside walk in winter can be an enchanting experience, as the bare land reveals its character.